The Amerock BP1784WID Inspirations 3-3/4in(96mm) CTC Pull is finished in Wrought Iron Dark. Clean, classic lines in a casual relaxed style, Inspirations is designed to compliment any dicor. Wrought Iron Dark is a tonal finish that combines a dark black colour with subtle hints of gray, giving each design interest and dimension. The Amerock BP29201G10 Conrad 3-3/4in(96mm) CTC Pull is finished in Satin Nickel. Inspired by recent resurgence of contemporary and transitional kitchen design, the Conrad collection's clean flowing lines merge with strong edges to create the perfect look for your kitchen or bath. The classic Satin Nickel finish provides a sleek, lightly brushed, warm grey metallic look. Inspirations 3-3/4 Inch (96mm) CTC Pull - Wrought Iron Dark The Amerock BP1784WID Inspirations 3-3/4in(96mm) CTC Pull is finished in Wrought Iron Dark. Clean, classic lines in a casual relaxed style, Inspirations is designed to compliment any dicor. Wrought Iron Dark is a tonal finish that combines a dark black colour with subtle hints of gray, giving each design interest and dimension. 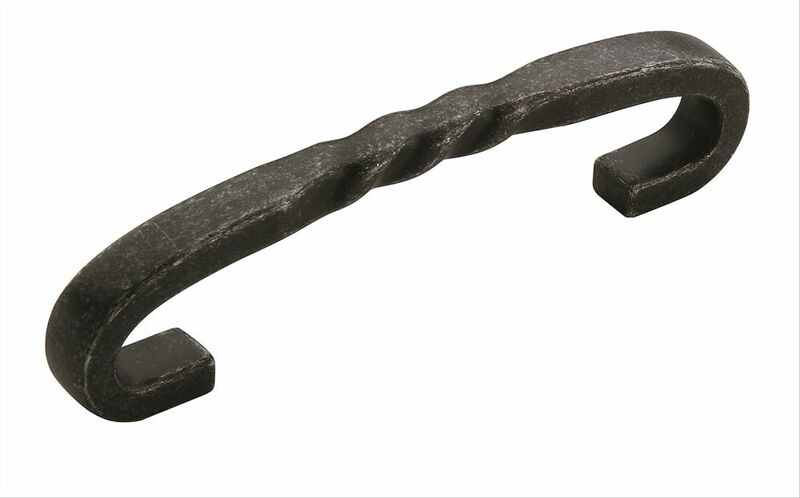 Inspirations 3-3/4 Inch (96mm) CTC Pull - Wrought Iron Dark is rated 5.0 out of 5 by 1. Rated 5 out of 5 by Lovemycountertops from Love this choice! Has a good feel and is exactly the style i was looking for. Excellent quality.